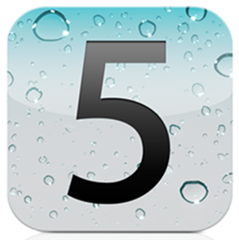 As many in the tech world have been expecting, iOS 5 Beta 5 has just been released to registered Apple developers. While we haven’t yet been able to test out the new build, it’s expected to include minor enhancements to Apple’s next-generation mobile operating system as it gets closer and closer to its September release. All registered iOS developers are allowed, and in fact urged, to download this new release as soon as possible in order to keep providing Apple with timely and accurate feedback on iOS 5’s features, which becomes increasingly important as the new operating system gets closer to release. While this build can be downloaded separately through Apple’s developer website, testers are encouraged to download it over-the-air: this method, first introduced in iOS 5 Beta 4, allows for full operating system upgrades without a computer connection, essentially carrying out the whole process through an Internet connection. You won’t only be up and running more quickly, you’ll also hopefully provide Apple with real feedback on how to improve this feature before it reaches the rest of the world. Keep in mind that this method won’t work with jailbroken devices. We would advise you to download this new build through official means, by owning an Apple developer account. For $99 per year, you will be given access to a wide array of content geared at developers, such as documentation and exclusive tools as well as, of course, pre-release builds of iOS. While aimed at developers, a developer account should be part of any enthusiast’s arsenal since, if used properly, it will give anyone a better understanding of how iOS operates and maybe someday get you into developing actual apps. You can get a subscription from Apple’s Developer Website. 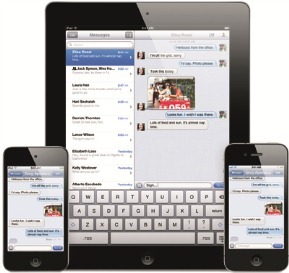 iOS 5 was first unveiled at WWDC two months ago with new features that have been long-awaited by many iOS users. Among those, there’s a revamped notification system that’s able to queue up notifications sent from apps all in one place, an iOS-only instant messaging service known as iMessage, enhancements to Safari such as Reader Mode and a new Reading List, both available on the desktop version of the browser for quite some time, and built-in set up wizards that allow new devices to be configured without a connection to iTunes altogether. Apple has also released iTunes 10.5 Beta 5, which is requirement to sync iOS 5 Beta 5 devices. Registered developers are able to download it from Apple’s developer website.